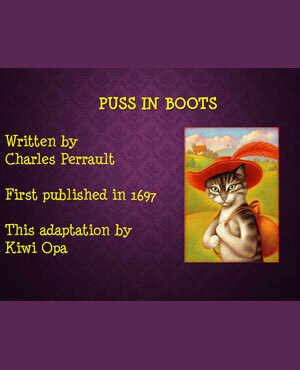 Puss in Boots is an interesting story that is sure to keep readers on the edge. The story revolves around a cat which makes use of trickery and deceit to gain wealth, power and even a marriage with the princess for the master who is poor and low-born. Overall theme of the story revolves around how cunning the cat is and the extent to which it goes to serve its master. The short e-book story definitely has all the essentials a reader might expect while going through the story. The story begins with the introduction of a Miller who had three sons. The miller left possessions for the three sons after his death. The oldest son however got the mill, where as the second son was given a donkey and the third son who was the youngest received a cat. The name of the youngest son is Marquis de Carrabas. However the story takes a new turn when the younger son was taken aback with the fact that the cat was able to speak! The cat then requests his master to provide him with a leather bag and boots. Even though it was expensive for the master, he bought boots and leather bag for the cats as a response to the cat’s assurance that it will make him rich and happy. Here is when the story becomes more interesting. The cat through its cunning tactics catches a plump rabbit which it then gifts the King saying it was the gift from his master Marquis de Carrabas. The intention of the cat was to get the princess married to his master. Therefore the cat very well knew the importance of convincing the King. The gifting then became a daily routine wherein the cat would bow to the princess and in return the princess would smile back. The story then takes a new turn when the cat asks his master to take off the clothes and get in the water after the cat comes to know about the King’s plans to go for a carriage ride along the river bank with his daughter. The events that unfold after this is very interesting keeping the readers thinking about what is going to happen next and how the cat’s master is going to be rich. The entire story could be read with beautiful illustrations by downloading the e-book of ‘Puss in Boots’ in a downloadable format. The story is definitely going to be interesting for your kid and you can spend your valuable time explaining this worthy story to your kids or they can read it by themselves online in our website. This e-book features text that is beautifully narrated for the readers through colorful images of the cat, his master, King and Princess to name among a few of the characters that are present in the story. The story has a message to the kids who reads the story. 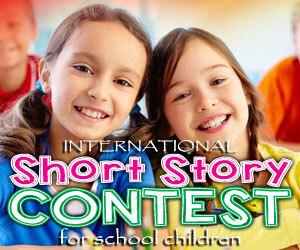 The clever cat and the story will definitely convey the message to the kids in the best possible manner!